By default, helpers can only see their own time off when they sign in. 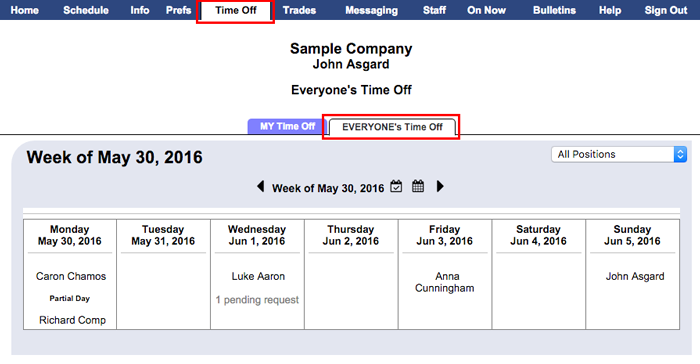 You can change this option and allow them to see Everyone's Time Off. 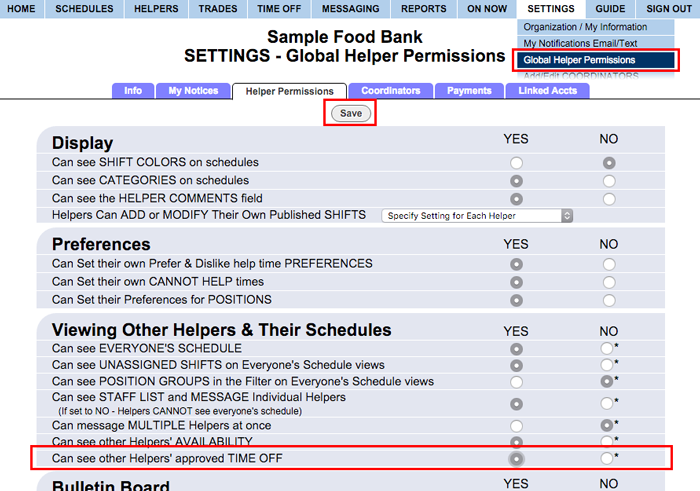 Choose Yes for "Can see other Helpers' approved TIME OFF"
Helpers can then sign in and see a second tab on the Time Off page that displays all approved time off and also the number of pending requests for each day.